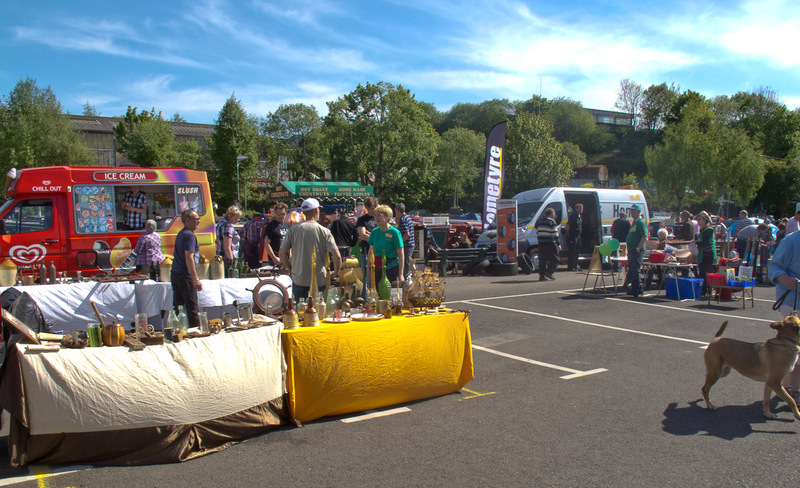 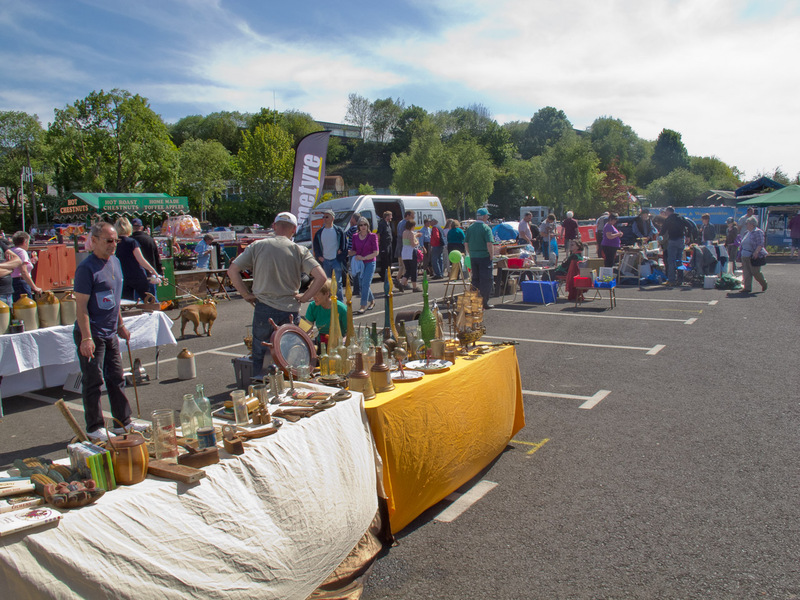 It was a glorious weekend weather wise for the Coombeswood Canal Trust’s annual Open Weekend held at Hawne Basin…. 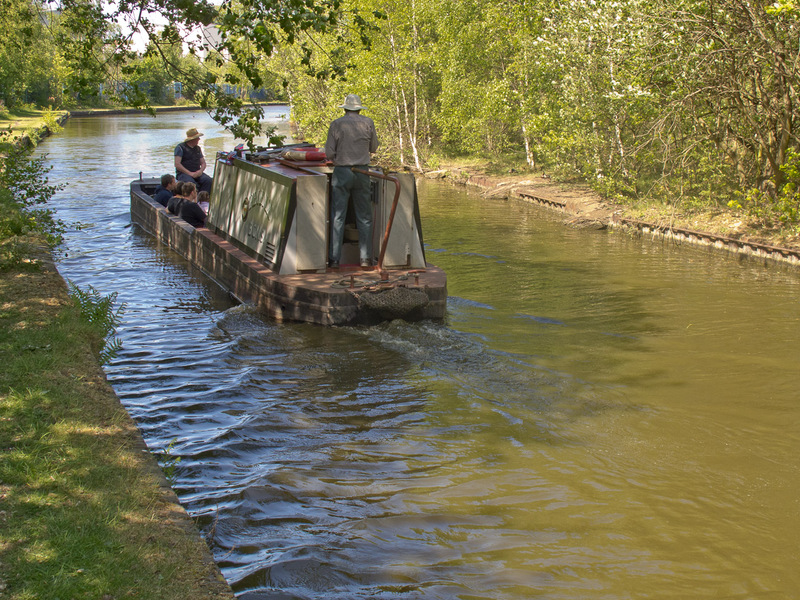 This is situated at the southern limit of navigation of the Dudley No2 Canal at Halesowen just West of Birmingham. 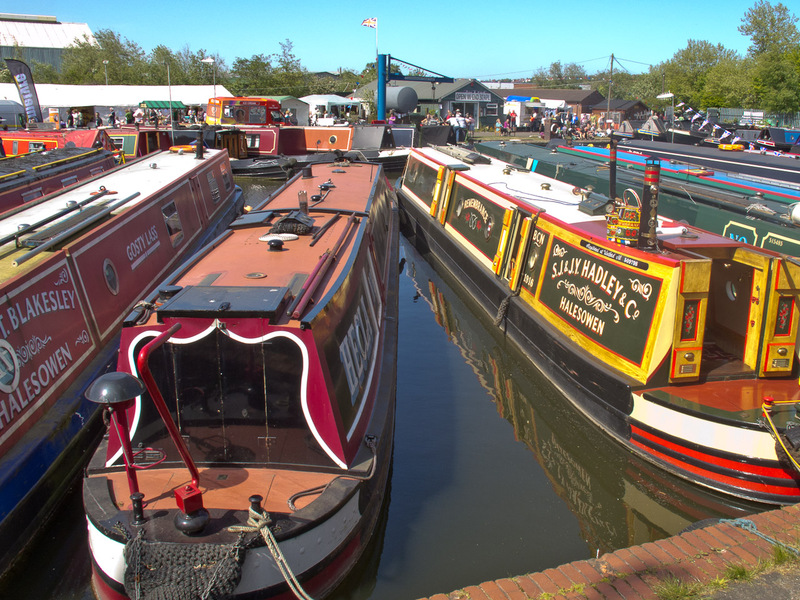 This event is a chance for the local canal societies to recruit members and explain what they do. 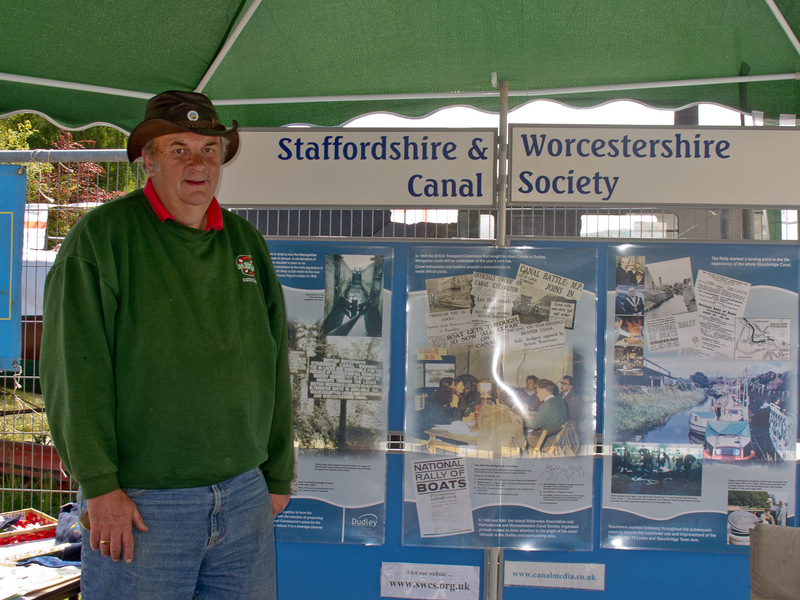 As well as the Coombeswood Canal Trust, other exhibitors were the Droitwich Canals Trust, and the Staffordshire and Worcestershire Canal Society with Ian Pearson manning the stall shown in a photo below. 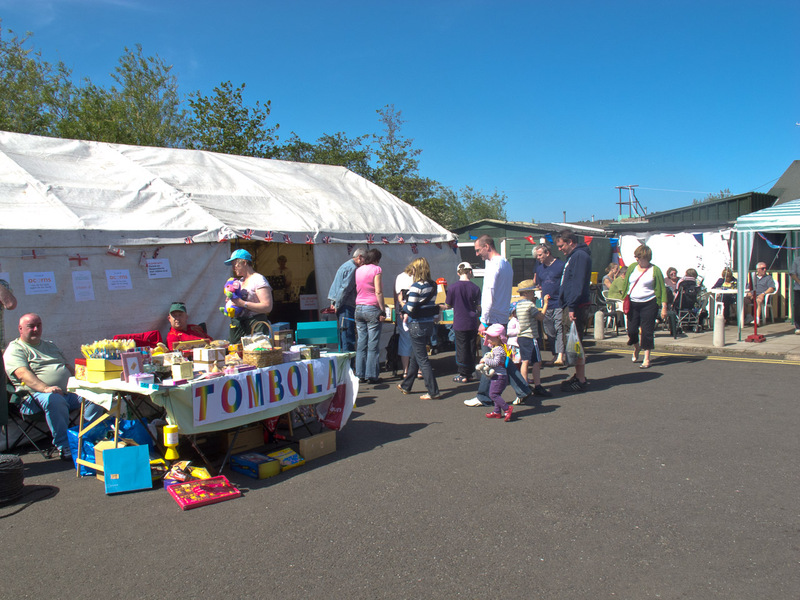 There were jumble sales, sweets and canal objects stalls, a tombola, and a real ale tent, burgers, ice cream amongst the goodies to keep the crowd happy. 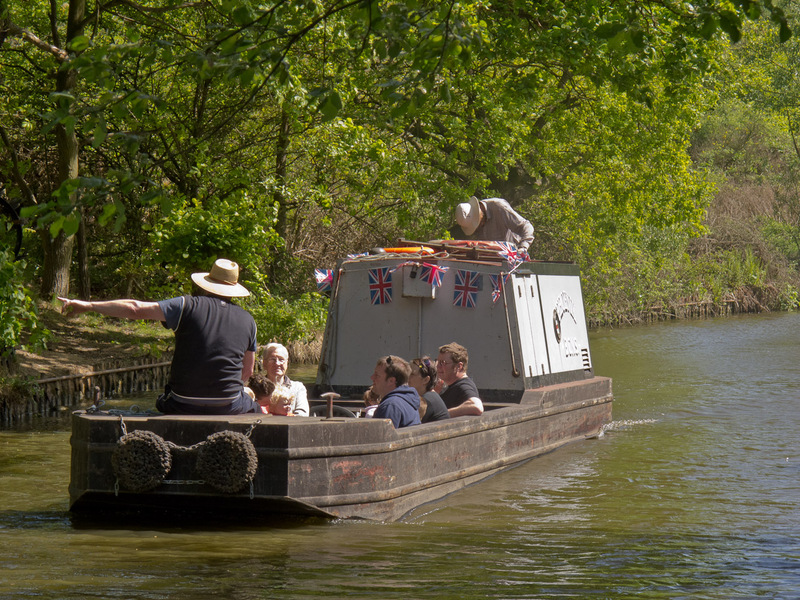 And they seem to be so with smiles of enjoyment a plenty – the British certainly know how to enjoy good weather when it happens. 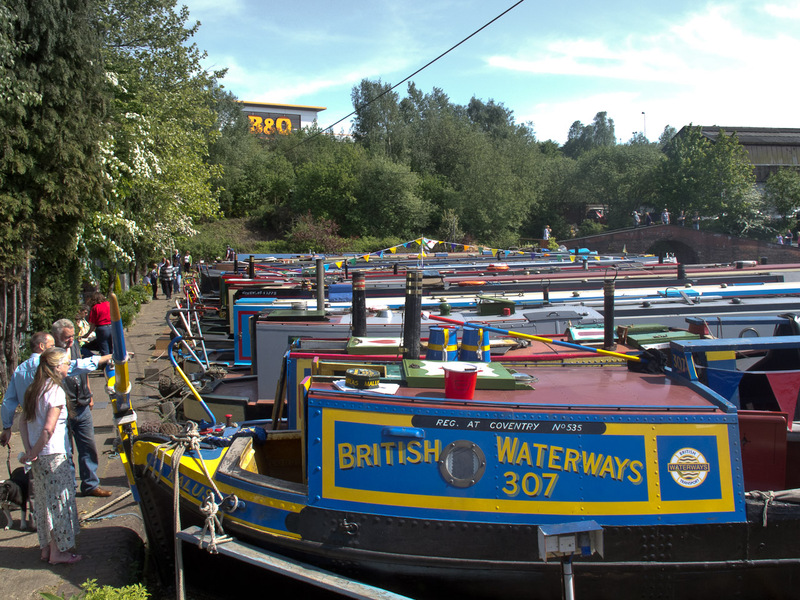 There were also free boat rides with commentary on local history up to and into the dark Gosty Hill Tunnel 3/4 mile away. Click here for more information on the Coombeswood Canal Trust.